Hamas leaders announced on Saturday they've accepted a cease-fire with Israel, CBS reports; it's the second such agreement of the week. Why it matters: Fighting between the militant group and Israeli forces has been escalating near a brink of an all-out war — of which there has been three in the past decade, per CBS. And even after the cease-fire, an Israeli tank moved on a Hamas military post in Gaza in response to "a breach of the border fence," CNN reports. The backdrop: Nicholay Mladenov, the U.N. envoy for the Israel-Palestinian conflict, called on "all parties, all sides to do their best right now. Not next month, not next week, right now, to prevent this escalation," BBC reports. There were also "multiple explosives thrown at Israeli soldiers," the Israeli Defense Forces said per CNN. Since protests started in March, more than 130 Palestinians have been killed by Israeli forces, CBS reports. The tension along the Gaza border has been building for months now. 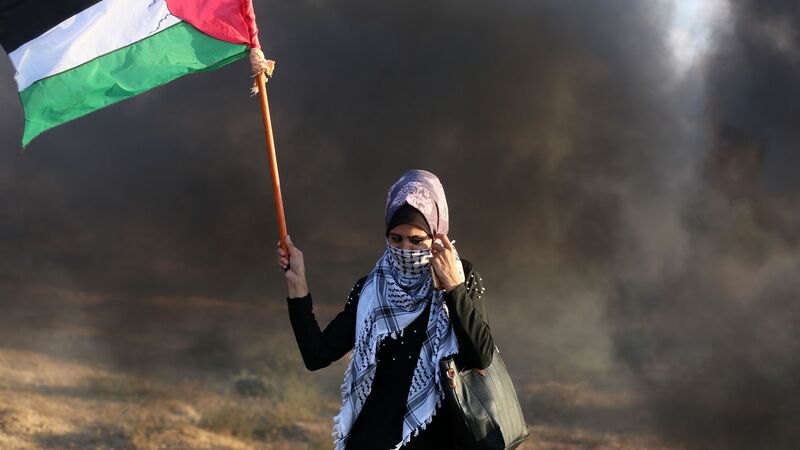 What began as Palestinian protests around the March of the Return turned into Hamas' fight with Israel as the group took "advantage of Palestinian suffering and Israeli militarism," director of the Wilson Center's Middle East Program, Aaron David Miller, wrote for Axios. A blockade against Hamas has been held by Israel and Egypt for over a decade, CBS explains, which has "caused widespread economic hardship." Israel calls the blockade necessary to protect against weapons smuggling.